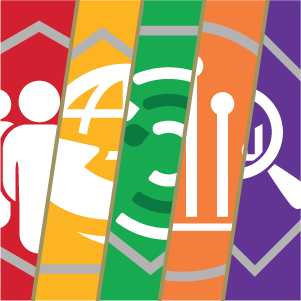 Position statements allow CSTE members to standardize surveillance case definitions, maintain the Nationally Notifiable Condition List, and address policy issues that could affect state or local law, rules or regulations. Position statements are submitted each spring and then discussed and voted on by the CSTE membership at the Annual Conference in June. 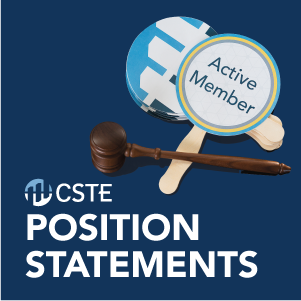 Position statement authors must be active CSTE members, although associate members may be co-authors. There are three mechanisms to submit a position statement for consideration by the CSTE membership and discussion at the CSTE Business Meeting: ordinary process, expedited handling, and presidential review. To view past CSTE position statements, please visit the Position Statement Archive. Please view the Position Statement Timeline for details on each mechanism's deadline and criteria for acceptability. The position statement timeline is defined in CSTE’s Policies and Procedures and thus deadlines are adhered to. View the 2019 Position Statement Timeline. Must be sponsored by a CSTE Active Member. Must use current and appropriate position statement template. The chair of the appropriate committee agrees to accept the proposal into the Expedited Handling process. 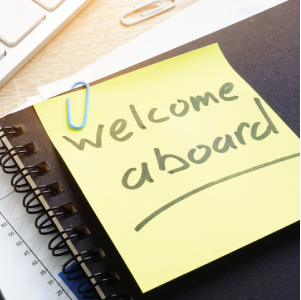 Interim Position Statements: Urgent or time-sensitive issues that must be addressed between annual business meetings may be submitted as interim position statements. Interim position statements are approved by the CSTE Executive Board and immediately become official policy of CSTE until the next CSTE Business Meeting, when they must be ratified or they will become null. Interim position statements are posted to the CSTE website immediately after approval by the Executive Board. 2019 Position Statement templates are now available. Please see below for view-only templates. To request an editable 2019 position statement template, please complete a template request form by clicking here . Policy position statements are intended for issues that would require a vote by the Council because they may result in changes to state or local law, rules or regulations. Note: All other policy issues, resolutions, etc. that would not require legal changes at the state or local level should be addressed via the process for CSTE Briefs. View the 2019 Policy Position Statement Template. Standardized surveillance position statements are intended to standardize case definitions for diseases or conditions of importance that state and local health departments can adopt for daily surveillance activities. Each position statement contains a technical supplement that translates the narrative case definition to machine-processable logic that can be implemented in surveillance systems. These position statements also may recommend that a disease or condition be added to, updated, or removed from the Nationally Notifiable Conditions (NNC) List that CSTE and CDC maintain annually. View the 2019 Standardized Surveillance for Diseases or Conditions Position Statement Template. Authors seeking to update an existing standardized surveillance case definition should reference previous CSTE position statements for the condition and describe the proposed updates in the position statement. Authors are also encouraged to seek input from appropriate subject matter experts at the state, local, and federal levels during the position statement writing process. The template must be completed in its entirety for both updated and new case definitions. Final position statements should be able to "stand alone” and contain all current information required to implement surveillance for the disease or condition. To request an editable version of a position statement template, please complete this template request form. Position statements should be submitted using the appropriate template. Submitted statements using the incorrect template will not be accepted by the National Office. All parts of the template must be complete upon submission, including any appendices and the technical supplement (for standardized surveillance position statements only). All position statements must be submitted electronically to positionstatements@cste.org by the appropriate deadline. First round: The National Office reviews all submissions for completion and shares with select group of position statement SMEs for technical review. Second round: The National Office shares submissions with appropriate CSTE Executive Board members (e.g., Steering Committee Chairs), who determine if submissions should move forward for consideration by all CSTE membership and provide feedback to authors. Once feedback is received, authors may edit their submissions prior to the National Office posting to the CSTE website. Please note that if the Executive Board does not approve a position statement to move forward for consideration by all membership, authors will be sufficiently notified of this decision. Third round: The National Office will post approved submissions to the members-only side of the CSTE website for membership consideration prior to the CSTE Annual Conference. The National Office will also host position statement discussion webinars so authors may review their position statements with a broader audience prior to the conference. Members are encouraged to attend the position statement discussions organized by CSTE Steering Committees, where each statement is presented by the author, discussed, and voted on. Note: An active member author is required to be at the Annual Conference to present the statement. 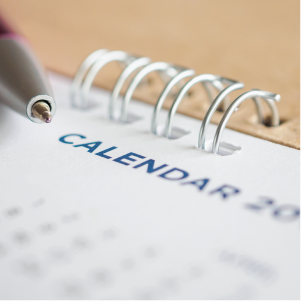 Dates and times of the Steering Committee discussions vary but are available in the yearly CSTE Annual Conference agenda. Once approved, all position statements become CSTE policy. The National Office conducts a final technical review of all approved position statements. This technical review may adjust formatting and consistency, and ensures the technical supplement is up-to-date after discussions and voting at the Annual Conference. All proposed, non-substantive edits will be shared with the submitting author. Once all approved position statements are finalized, CSTE will post them on the CSTE website and notify all agencies for response and information. The submitting author will be responsible for tracking the position statement during the year following its adoption. CSTE will post 2019 position statements for membership consideration by April 25, 2019. 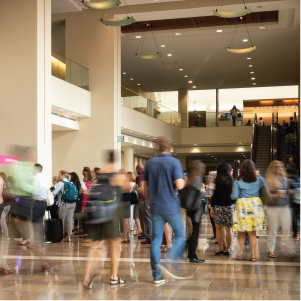 The National Office will host position statement discussion webinars in May before the formal discussions that will take place in Steering Committee voting sessions at the 2019 CSTE Annual Conference. The purpose of these webinars is to allow more time for members and position statement authors to interact and engage in discussions of submitted position statements. Webinar schedules will be posted here and shared with CSTE membership upon finalization.